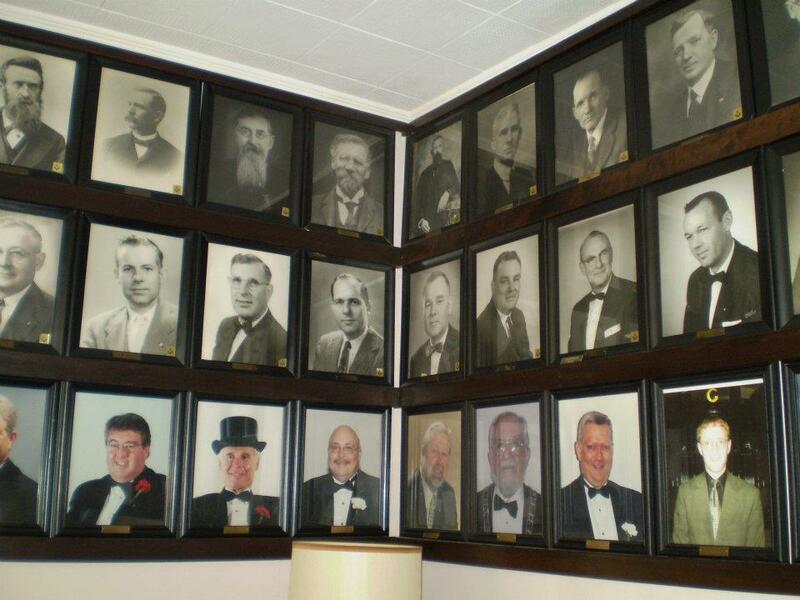 Millersville Lodge No. 126, F. & A. M.
The verse above by an unknown poet sums it up nicely; The brotherhood of the Millersville Masonic Lodge have worked together to make the social welfare of that community their labor of brotherly love since 1852. Indeed, it is in large part due to the record keeping efforts of Lodge members that today we can enjoy a rich and vibrant retelling of the Millersville story. See: Millersville Memories. The village of Millersville located in Washington Township appeared on early maps but was never formally laid out. 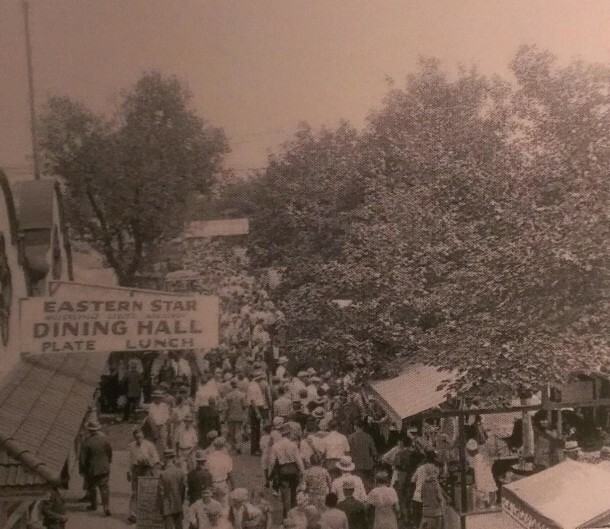 The defining village landmark was a gristmill owned by William Winpenny, not far from the current location of Millersville Lodge at Fall Creek Boulevard and Emerson Avenue. 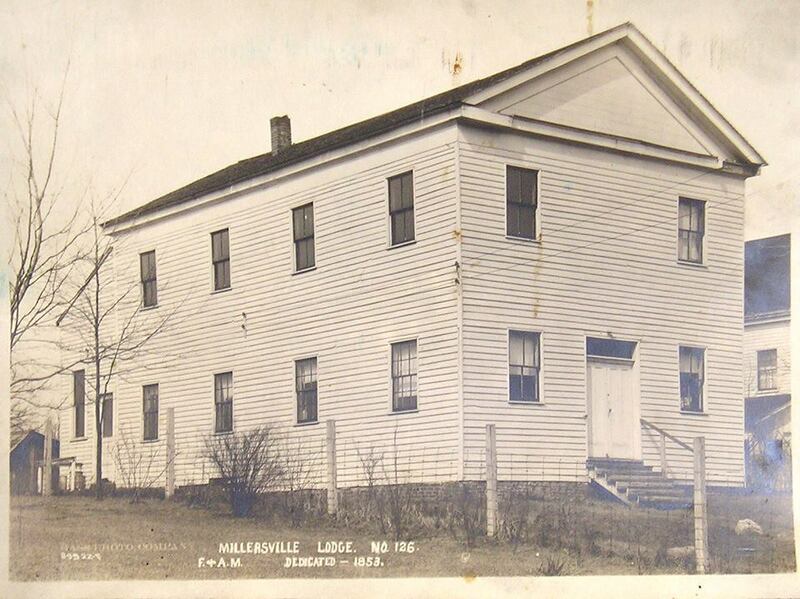 To this day, no one has been able to learn conclusively whether “Millersville” was named for the mills in the area, or as a variation on “Millardsville” after William J. Millard Sr., the father of the Lodge’s first Worshipful Master, who was also the first village postmaster. William J. Millard, the first postmaster of Millersville. A post office was established in 1844. – David J. Cord whose humorous 2005 retelling of early adventures and misadventures breathes life and personality to historical characters. The Winpenny Mill where the Millersville Lodge was initially founded. 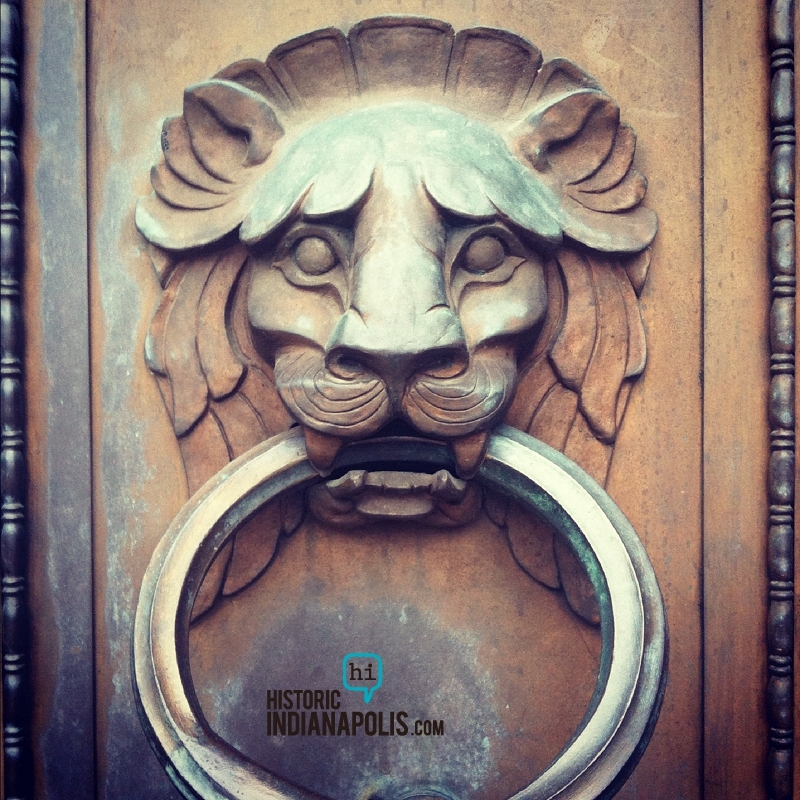 The mid-1800s was a time when Freemasonry was growing rapidly in Indiana and the men of Millersville wanted a Lodge close to home. Operating under a dispensation granted March 3, 1852 by A.C. Downey, Most Worshipful Grand Master of Indiana, the first meeting took place in Millard’s living room. Millard was elected first Worshipful Master of the Lodge, a position he would hold for 11 of the Lodge’s first 13 years. Subsequent Lodge gatherings met on the third floor of Winpenny’s mill, where the Lodge would meet until October of 1853. On May 25, 1852 that Millersville Lodge received its charter as Indiana F. & A.M. Lodge #126 and elected its first official line of officers. 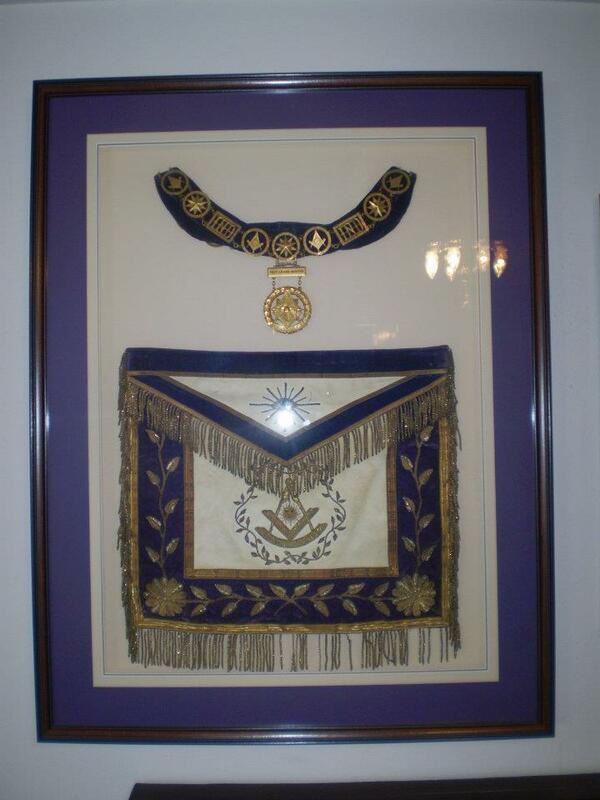 That original charter still hangs in the current Millersville Lodge Room. 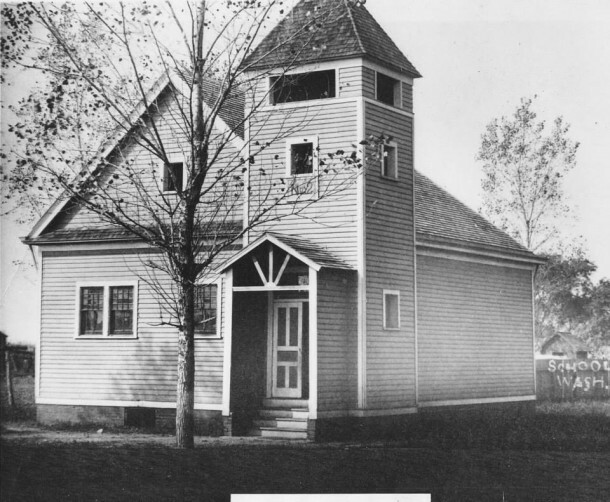 William Winpenny financed building the first Millersville Lodge Hall that was dedicated October 26, 1853. 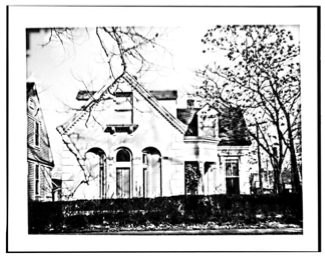 That building (top photo), which was shared by the Millersville Methodist Episcopal Church, was located on the west side of Millersville Road about halfway between Fall Creek and 56the street. The church met on the first floor from 1853 until 1877. The Lodge Room was on the second floor. 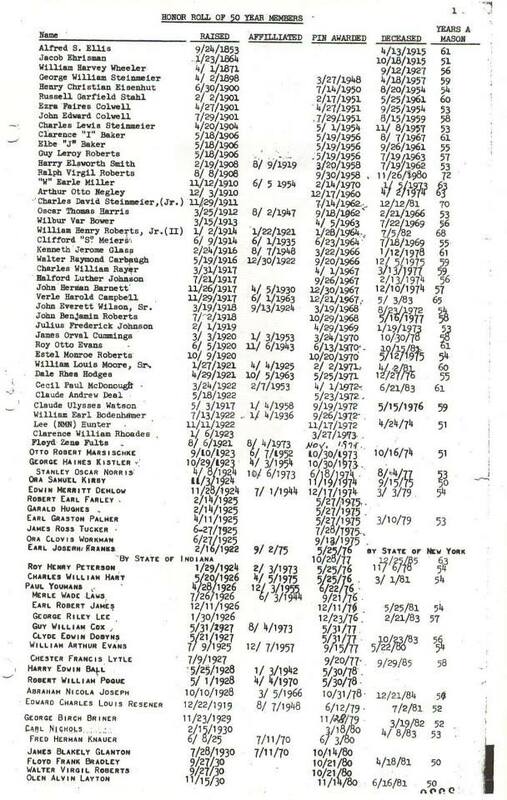 Winpenny collected rent from the Lodge in the earliest years. Brother Winpenny died February 3, 1861 and his funeral showed he was held in high esteem by the Fraternity. On February 6, the Lodge formed a procession conveyed the body to Indianapolis where it was met at the city limits by Brethren from Centre Lodge. Solemn music led the procession, which marched through the city to Crown Hill cemetery where he was buried according to Masonic forms. The procession then marched back to Millersville. This small cemetery is behind a church on Millersville Road about a half-mile east of Keystone Avenue. Reading the headstones in this small, quiet place is like reading the historical roster of Millersville Lodge. William J. Millard Sr., father of the Lodge’s first Worshipful Master, is buried there, next to his wife and their other son, Benson W. Millard, Millersville Master in 1882. Johnson, Ellis, Negley, Steinmeier and many other names from Millersville’s founding and first century of Brotherhood are resting together in that place. Scant reference is made to the Civil War. The first reference in Lodge minutes is on January 31, 1863. Notice was made that Brother James Beard was killed in the bloody battle at Vicksburg, Mississippi. Brothers Thomas A. Fisher, James Thomas Hunter and Lewis Y. Newhouse also served in the Union Army. On June 3, 1865, a resolution was adopted remitting the dues of all members serving in the Union Army. In March 1866 the Lodge discontinued the use of candles and installed coal oil (kerosene) lamps in the Lodge Room. 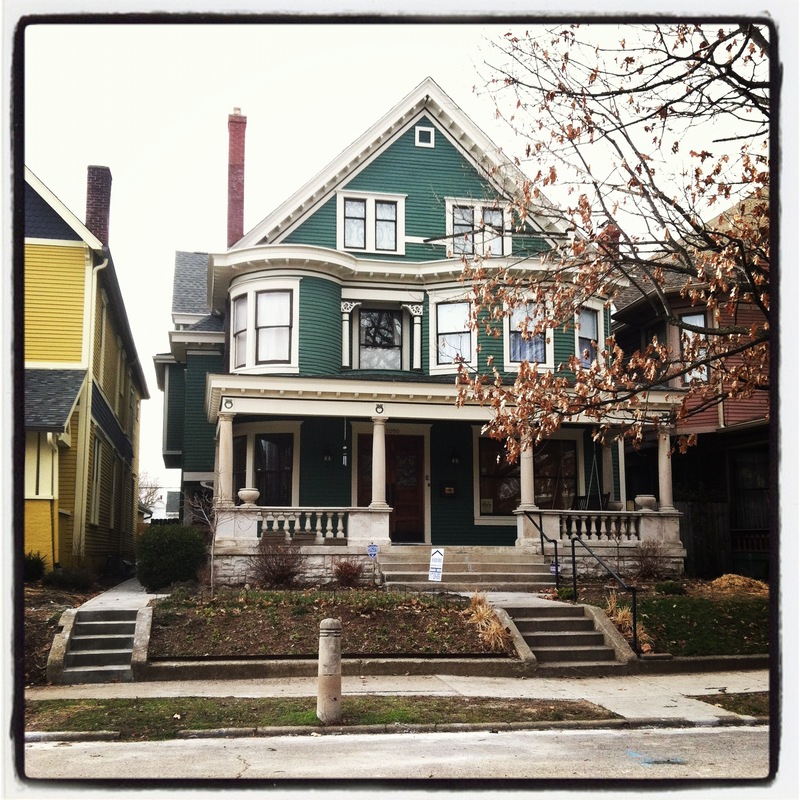 The entire renovation project cost $42.65. 1904 saw the chartering of the Millersville Chapter 300 of the Order of the Eastern Star, thus involving women – many of them wives of Millersville Lodge Brothers – in activities at the Lodge Hall. The Washington Twp. school #2 was located where the Masonic Lodge is now. The building served as a temporary facility for Masonic activities while the current temple was being built. 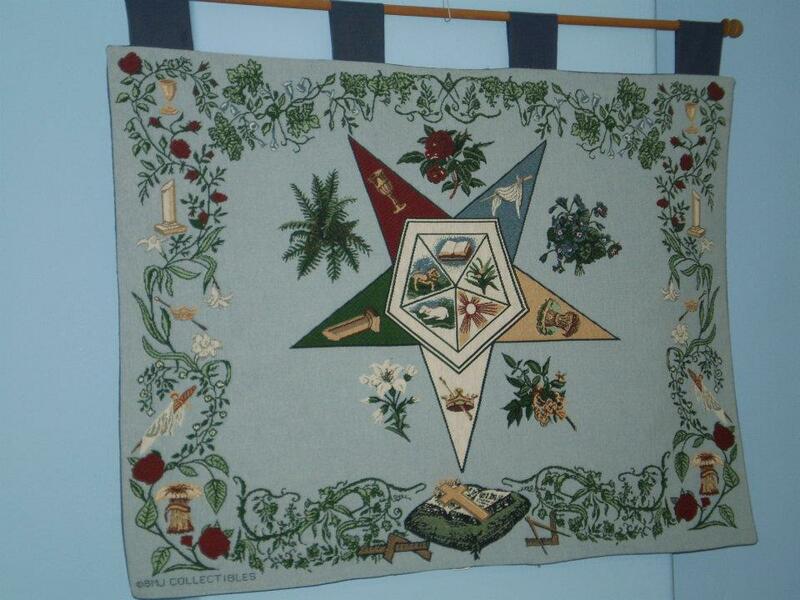 On November 3, 1924, the Lodge met at Mystic Circle Lodge No. 685 at Lawrence because the Trustees had declared the old clapboard Millersville Hall unsafe. 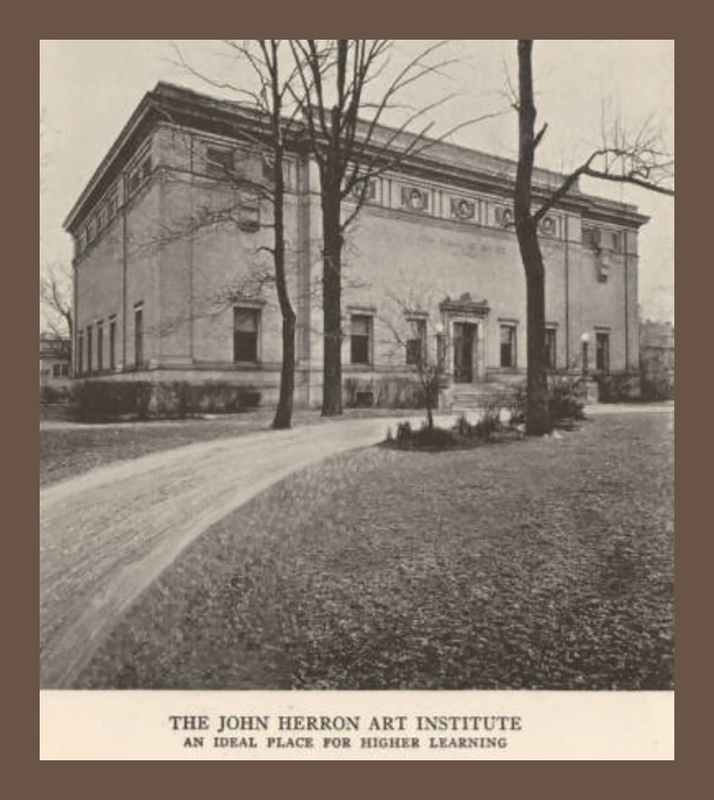 It was then determined to start the new building in the spring of 1925. Mrs. Cora B. Roberts, the widow of four-time Worshipful Master William H. Roberts donated to Millersville Lodge #126 the tract upon which the new temple was built. As plans for the new Temple were formed, Washington Township School No. 2 stood on the land at that time and the Millersville #126 charter was moved into the schoolhouse during construction. 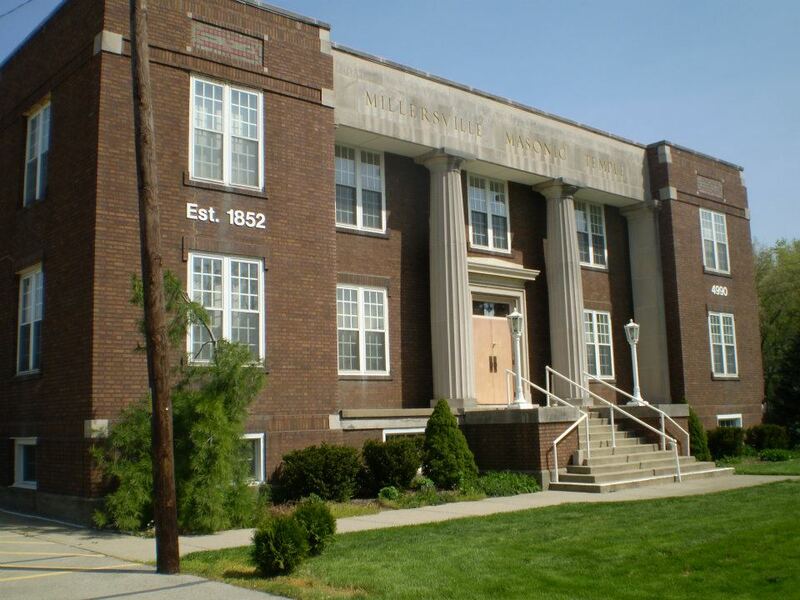 Millersville Masonic Temple was completed less than one year later at the cost of $59,874.70, the ladies of the Eastern Star Auxiliary having assisted with an additional $10,000 for furnishings — a result of eight years operating a dining room at the Indiana State Fair (1921-1929). In the years following World War II Masonry reached probably the most popular era of the Fraternity’s history. Millersville Lodge membership was at an all time high and Lodge activities provided the very social centerpiece for members of the Fraternity. As Millersville Lodge approached the celebration of its first 100 years, the Lodge purchased its first organ for the Lodge Room in 1948. Millersville celebrated its centennial on May 10, 1952 with an afternoon re-dedication of the Lodge with the officers from the Grand Lodge of Indiana present. That evening there was a banquet downtown at the Scottish Rite Cathedral. Though Masonry contracted a bit through the American culture through the late 1970s, 1980s and 1990s, the Millersville Lodge has maintained its high standards of work in the Craft and is renowned as one of the best ritual Lodges in Indiana. In honor of the Lodge Sesquicentennial, the original 1852 charter document was removed from the Lodge and refurbished and reframed by a professional document restorer. Today finds the Lodge still quite active in the community. In fact, if you’d like to see this history for yourself, the Lodge’s annual Fish Fry (an area favorite for nearly 20 years) is in September! I love the history! I live on Millersville Road and it is a hiden gem. Would you happen to know what is going on with the old red mill on Millersville? It looks like someone is working to restore the building. The area is in transistion with the upcoming changes in Windridge. Also, is that mill the one in the photo above? 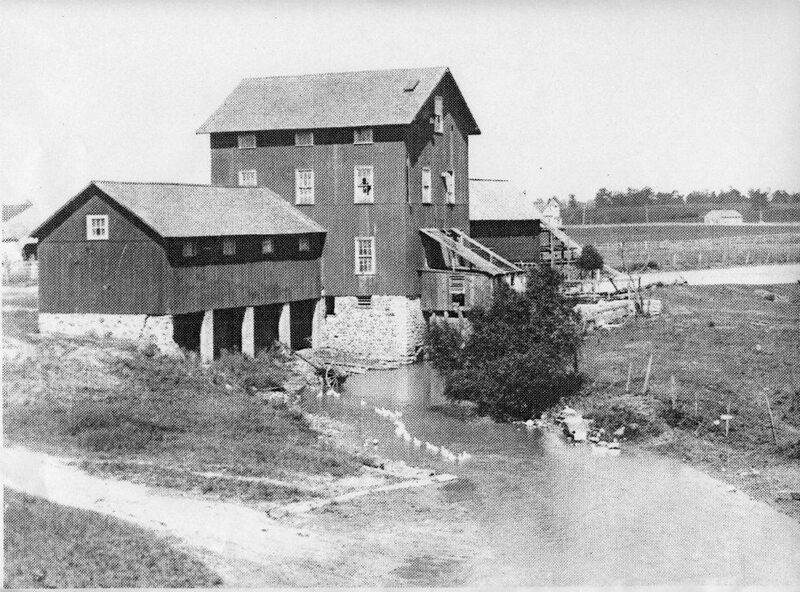 Sadly, none of the original mills of Millersville still stand. If you enjoy Millersville history, I also recommend additional HI articles under “Friday Favorites.” One is specifically about the mills (entitled “Millersville Memories”) and one about Windridge’s Laurel Hall and one (coming this week) about Fall Creek Cemetery. Stay tuned to HI on Fridays, as I have enough Millersville area material for another 2-3 articles. Thanks for this article. I was born in Indy in 1957 and unfortunately only lived there until 1967. I remember regularly driving by the Masonic Lodge on the way from Eastbourne Drive on the way to Church at Northminster Presbyterian or to shopping at Glendale shopping center. However I never knew anything about the Lodge or its history. Fascinating story.